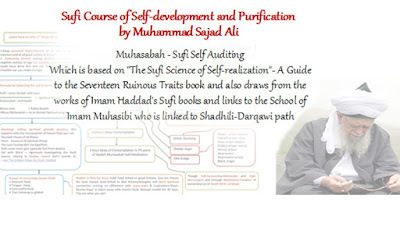 The Sufi Course of Self-development and Purification is a guide to the 1st steps of Sufism and Realisation) this is more of a course and manual then a book, it is a practical application of the most common issues of downfalls, pit stops, common mistakes and spiritual retrogress-(going backwards) that so many of us have fallen into today. 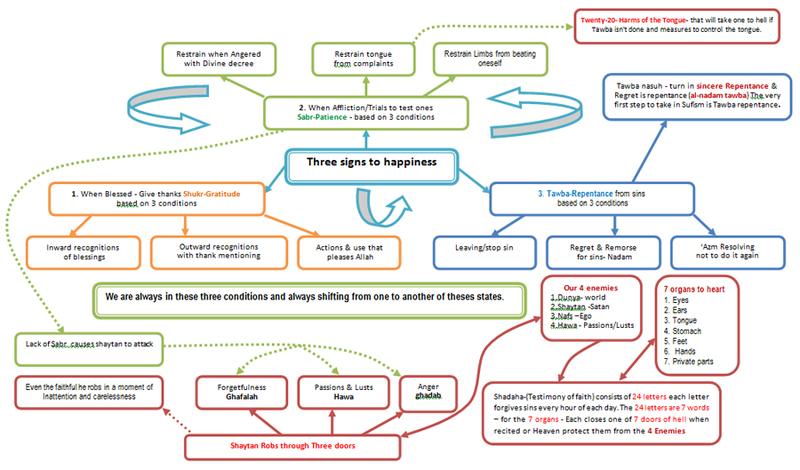 This course is taught through the unique manner of a Sufi Mind Mapping Technique Approach. While all young or old that join or have joined for many years a Sufi path try to attain or grow or climb on the path of Spiritual development, may find they keep slipping and falling yet don’t realise or haven’t been taught properly the warning signs or causes. They have overlooked them as they haven’t be taught what is causing these blocks and problems, they keep going up an elevator that seems to be moving backwards for them spiritual speaking. 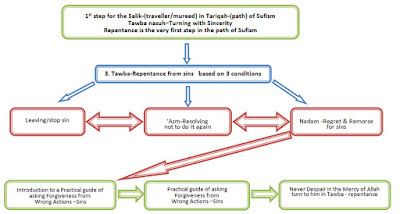 So for every 5 steps they take, they are actually 3 steps backwards each time and there is NO real progression that is taken place but spiritual retrogress-(going backwards), but it looks they are moving through all their regular Dhikr, Sufi gathers they are performing. But what do you do, when you’re busy either burning the nur-light of your Iman-faith, diminishing or stopping the blessings or simply throwing away the thawab-rewards of one’s Dhikr done every day. 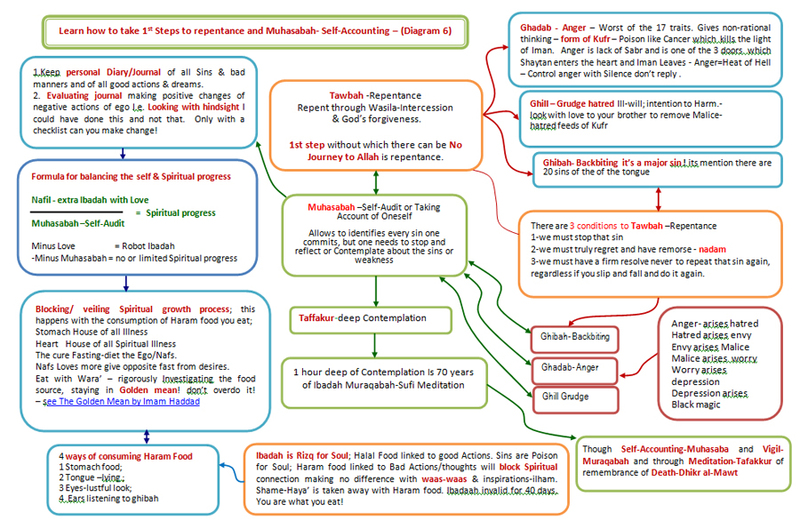 That is one of the many questions this course addresses in a practical manner, so one can learn how to perform Muhasabah-Self Auditing (Imam Muhasabi wrote books on this which later Imam Shadhili learnt and as well as Imam Haddad) for spiritual progression and actually move forward and spiritually development, climb and progress. And how to stop from slipping so much and the course guides you how to make a firm journey to Allah. This journey is a journey that is already inside your heart and through learning Focused Dhikr or Muraqabah-Sufi Visual Meditation once can connect to ones' Shaykh through the heart. (Or if you don’t have a shaykh learn how to do focused Dhikr). 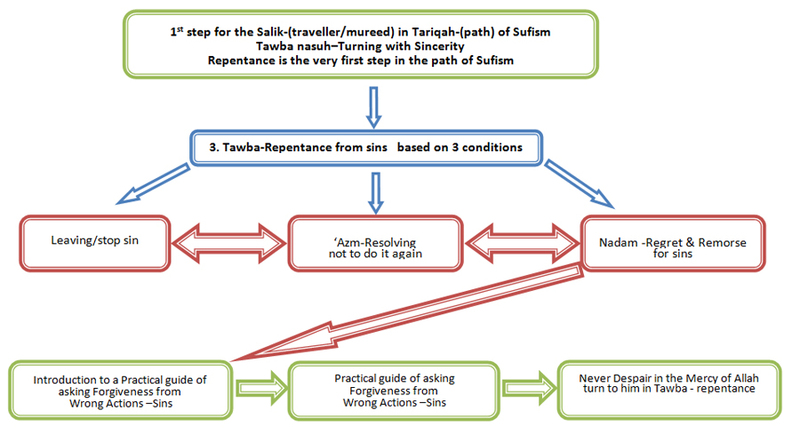 The 1st step is to discover how Muhasabah-self auditing works and how it is linked Tawbah-repentance and practical guide of forgiveness. 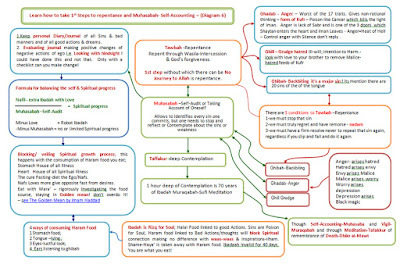 This Sufi Course has been taken and compiled from various sources, such as the Shadhili-Darqawi, Qadiri, an understanding about Muhasabah-self auditing from Imam Haddad, as well as an abridged Sufi Mind Map version of 'The Sufi Science of Self-realization' by Shaykh Hisham Kabbani, with accompanying Sufi Mind map diagrams linking to "The Invocation of God"-Al-Wabil al-Sayyib by Imam Ibn Qayyim al-Jawziyya also linking the text and a Muhasabah-self auditing Sufi Matrix sheet to use as a guide or diary to monitor and see your progression. 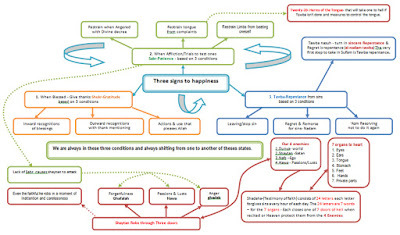 A comprehensive explanation of Muraqabah-Sufi visual meditation is also contained and the following topic goes into detail about the Kalima-affirmation of God’s oneness as a source of Sufi meditation. After that I have also borrowed from the ‘Book of the Healing of the Sickness and Pains’ by Shaykh Muhammad ibn Ja'far al-Kittani al-Hasani, using this text to help create a ‘Practical guide of asking Forgiveness of Wrong Actions’. From Imam Ibn Qayyim al-Jawziyya, Sabr-Patience, and finally going through the ‘20 Harms of the Tongue’ by Imam Ghazali's taken from his Ihya' 'Ulum al-Din- Revival of Religious Science'.